11 Aug But can your eye cream do this…? 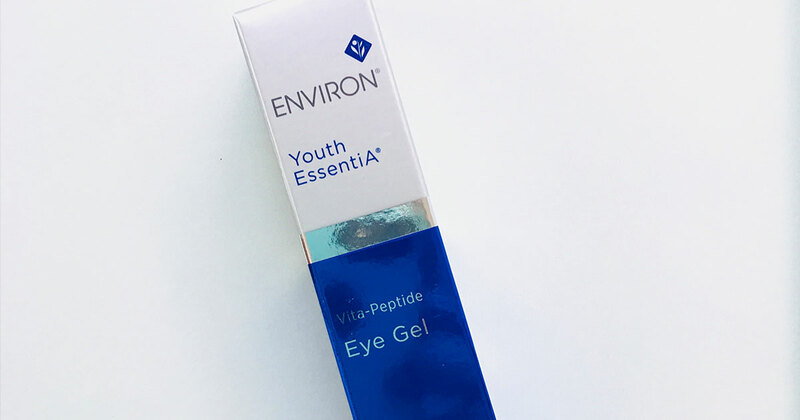 How Environ Vita Peptide Eye Gel keeps your eyes bright. Did you know that the skin around your eyes tends to age about 5 to 10 years faster than the rest of your face? That’s because it’s the thinnest skin on the entire body. Add in daily UV exposure and added squinting from screen time and it’s no wonder the skin around your eyes needs some extra TLC. That’s where the Vita Peptide Eye Gel from Environ’s Youth EssentiA line comes in. This product contains essential vitamins, antioxidants, retinol and specially selected peptides (proven anti-wrinkle ingredients!) for use on the delicate and sensitive eye area. You’ve heard of eye creams, but what is an eye gel? Since the skin around eyes is so thin, it requires nutrients in a lightweight delivery system. It’s easy to overwhelm and clog the delicate eye area if moisturizers are too emollient or thick. The Vita Peptide Eye Gel hydrates and minimizes the look of fine lines and sun damaged skin while still absorbing quickly and feeling light as air. We love how skin just drinks it right up and is primed beautifully for crease-free concealer or foundation. Visit us at the Beauty Bungalow to learn more about our end-of-summer product favorites and check out what’s new in the shop!